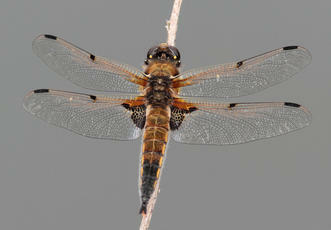 The four wing spots give this species its name; the wings also have a large brown patch at base. Both sexes are similar with brown bodies tapering to a black tip. 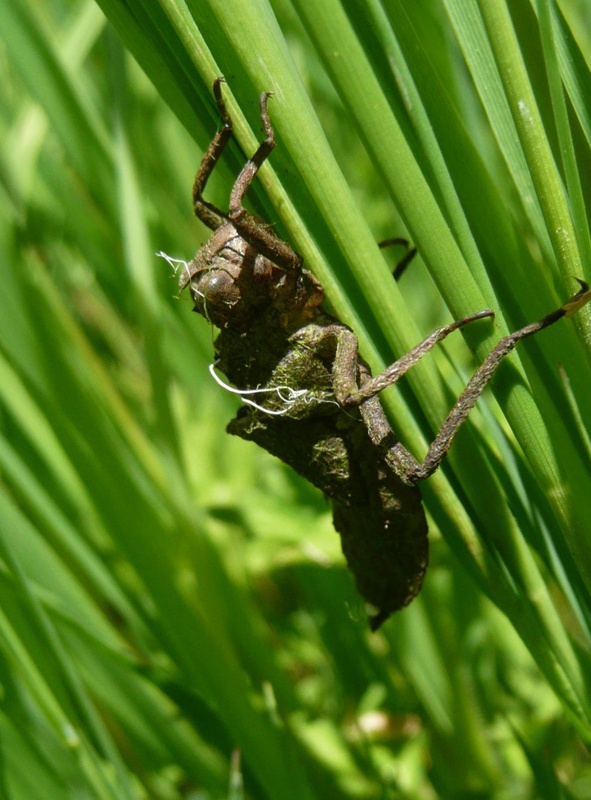 It prefers well-vegetated water with lots of submerged and emergent plants. 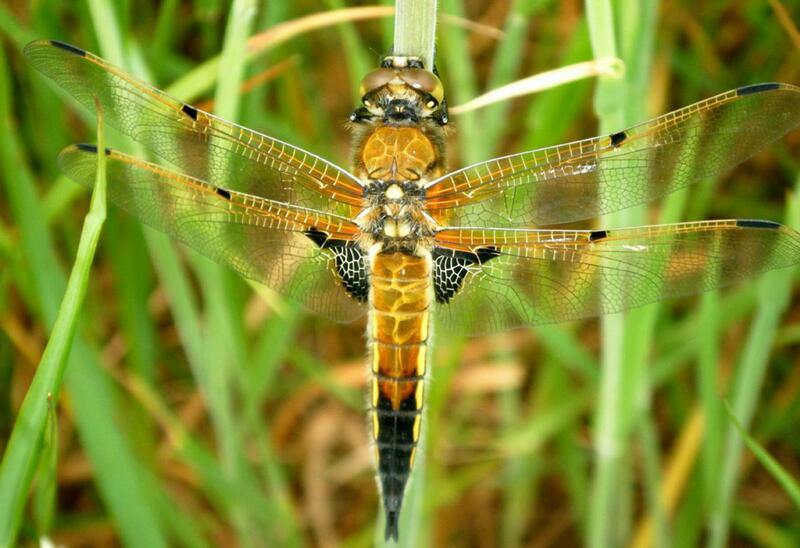 It flies from mid May to mid August. 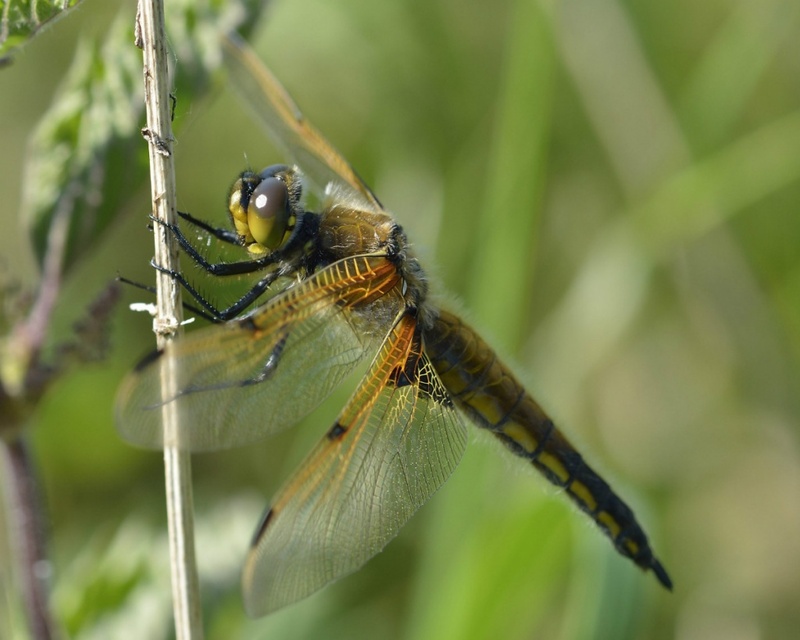 Sexually active males are highly territorial and select a prominent perch over-looking the water to look for females, other males and prey. 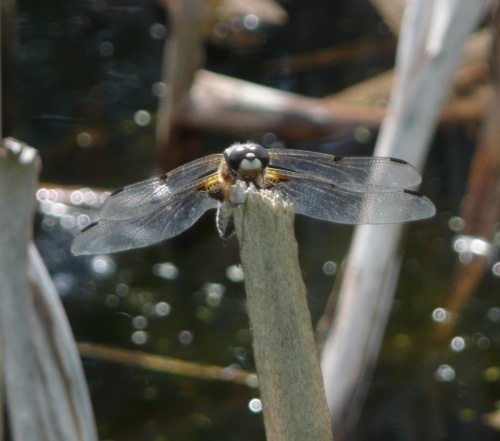 Females perch away from water to avoid harrassment by the males, only venturing to the water when they are ready to deposit eggs. This is a wandering species and may migrate long distances. 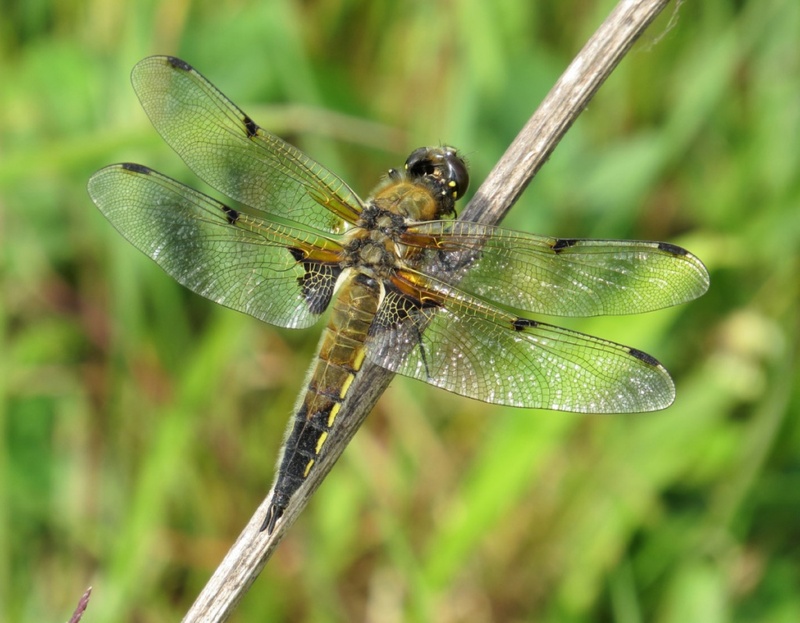 Widespread throughout Britain, though slightly scarcer in northern England. Because of its specific habitat requirements this is another species with a rather local and scattered distribution within Leicestershire and Rutland. 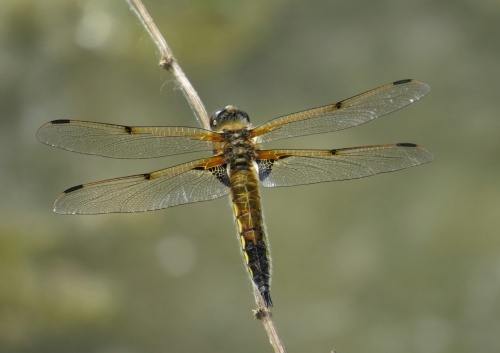 This species favours well-vegetated water bodies with an abundance of submerged and emergent vegetation. 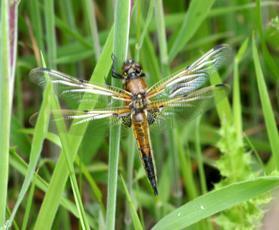 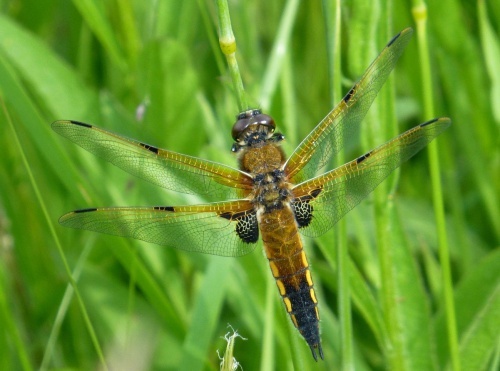 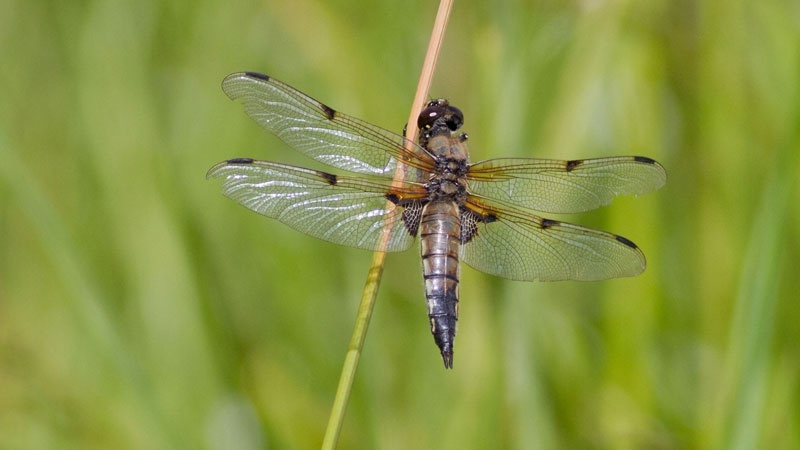 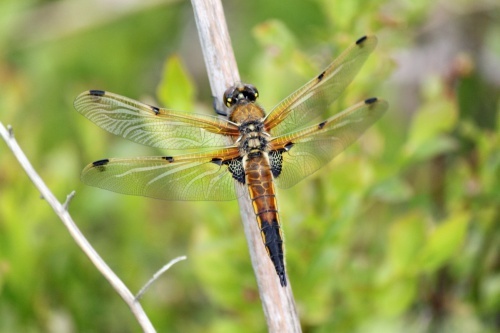 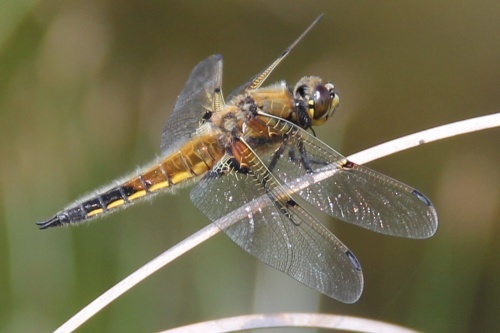 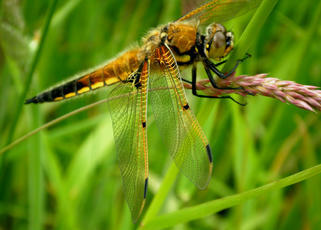 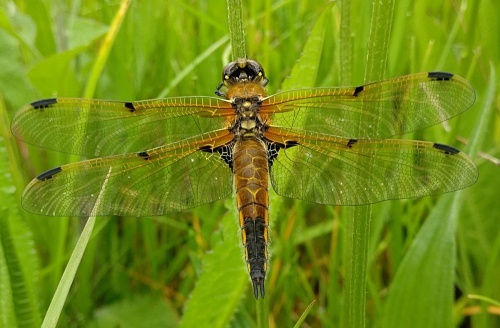 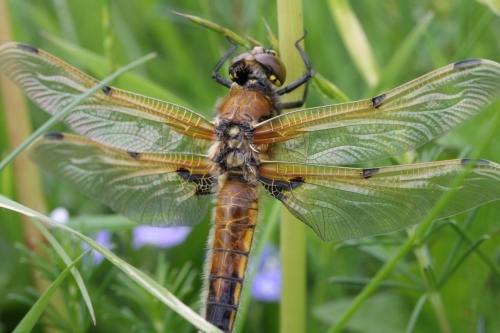 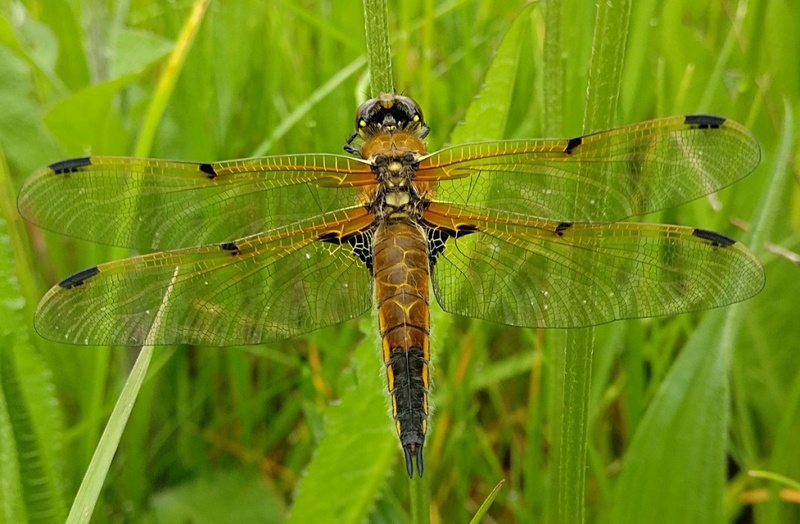 Such a specific habitat preference means that the Four-spotted Chaser is another species with a rather local and scattered distribution within VC 55. 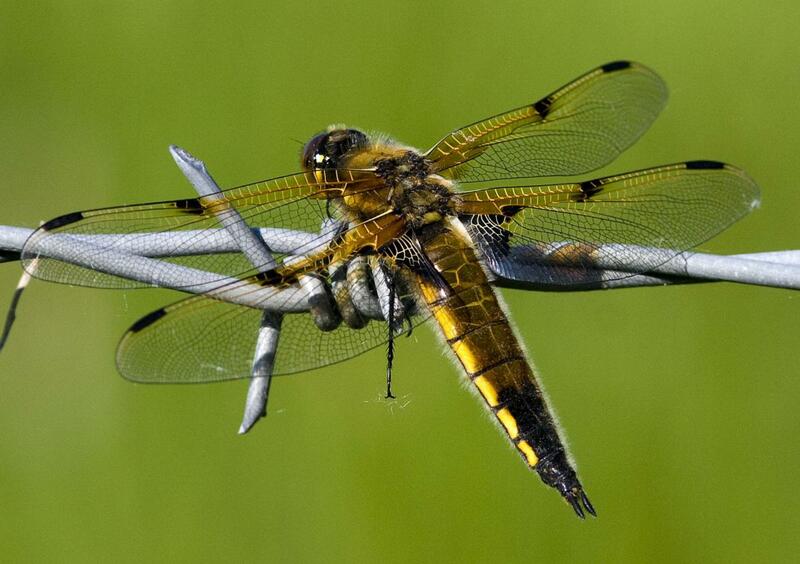 It breeds in suitable ponds, pools, lakes, canals and occasionally slow-flowing rivers. 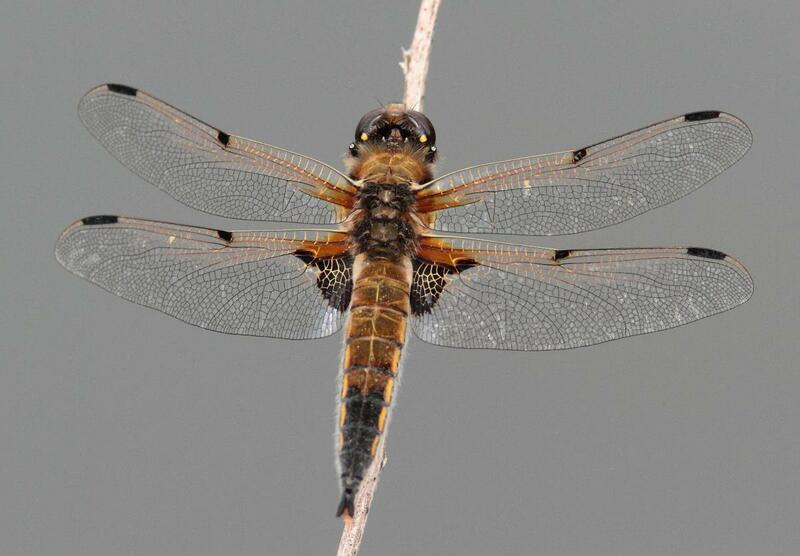 Reference to historic records suggests that this species has increased in its abundance in recent years, particularly since the 1980s; prior to this period it had been recorded from very few sites.